Police in southwest China's Yunnan Province seized 9,000 cartons of smuggled counterfeit cigarettes worth nearly 1 million yuan (149,002 US dollars). Players and fans involved in a brawl on Sunday at a high-school soccer match in Haikou in South China's Hainan Province have been punished, according to the local football association on Tuesday. The incident, the latest in a series of such brawls, has prompted concerns over frequent violence at amateur football matches in China. The State Council General Office has released a regulation to improve elderly care services and meet the multilevel and diverse needs of the aged. Chinese Ambassador to Kazakhstan Zhang Xiao (Zhang) recently sat for a group interview with mainstream media in Kazakhstan, where he reiterated that recent reports on the vocational education and training centers in Northwest China's Xinjiang Uyghur Autonomous Region were groundless. Shanghai will build a grand opera house, next to the site of the 2010 World Expo on the bank of a turn of the Huangpu River, as the city's new landmark. Customs of Chengdu, capital of southwest China's Sichuan Province, said that high-tech equipment has significantly helped stop wildlife smuggling. Workers on Monday began laying tracks for the Beijing section of an intercity railway linking the capital with Xiongan New Area. A total of 246 cases involving ivory smuggling have been investigated and more than 20 kg of ivory and ivory products have been seized in the first quarter of the year, said customs authorities in Chengdu, capital of southwest China's Sichuan Province. Visitors look at an Icona Nucleus self-driving electric concept vehicle a day before the opening of the Shanghai Auto Show in Shanghai on Monday. The China Railway 12th Bureau Group works on the Liying section of the Beijing-Xiongan intercity railway on Monday. The Beijing section of the new high-speed rail link is ready for track-laying. After seven years of development, the southern city of Sansha in Hainan Province has witnessed remarkable progress in urban construction and social governance. 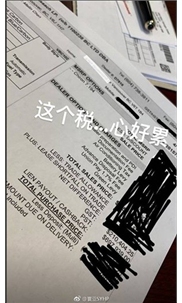 A photo posted by the son of a rich Chinese tycoon on Instagram, which showed a receipt for a supercar bought with a UnionPay credit card in Vancouver and a complaint about having to cough up hundreds of thousands of Canadian dollars in tax, has left netizens asking just how he could get so much money out of China, given the strict rules surrounding international money transfers. Xi Jinping, general secretary of the Communist Party of China Central Committee, went on an inspection tour in southwest China's Chongqing Municipality Monday. China's 2019 college entrance exam should test all-around qualities, such as morality, and universities are expected to add a physical exam for independent enrollment in the hope that students would attach more importance to physical training, said the Ministry of Education Monday. Ten people died of smoke inhalation in an accident in a pharmaceutical company in the eastern Chinese city of Jinan, local authorities said Monday. China plans to invest 900 million yuan ($134 million) this year to protect Sanjiangyuan, the cradle of the three rivers of Yangtze, Yellow and Lancang in northwestern Qinghai Province. China issued 336,000 foreigner's work permits and more than 950,000 foreigners worked in the country in 2018, which shows that China is becoming an ideal place for innovation and entrepreneurship for foreign talent.